Virtually weightless, this pure ‘second skin’ micronised mineral formula allows the skin to breathe whilst shielding against age aggressors. It is free of fillers and pore clogging ingredients; is hypo-allergenic; and contains Olive Squalene for its potent anti-aging benefits - natures own face lift. Micro diffusers diminish fine lines and wrinkles, to give you a flawless finish. Its in built concealing technology will adjust any unwanted undertones from the skin to correct all complexions. A foundation, concealer, powder and chemical free SPF 15+ all in one silky powder. 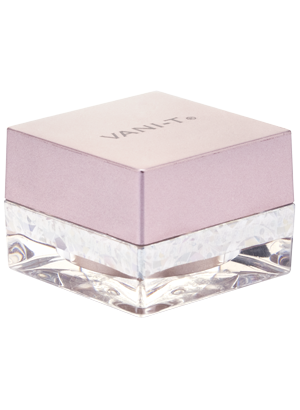 VANI-T Mineral Powder Foundation provides a naturally water resistant coverage that won’t move or crease and is ultra gentle. Shades including (from lighest to darkest) Shell (P), Biscuit (Y), Sheer (P), Truffle (P), Almondine (Y), Mocha (Y), Sand (Y), Toffee (N), Caramel (Y). NB: P = pink / cool, Y = yellow / warm, N = neutral undertones.